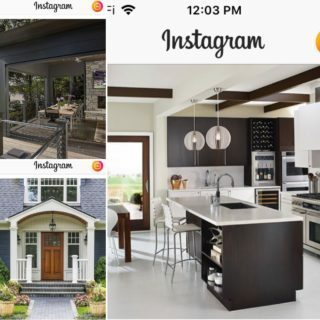 On any given day and time as you view your social media accounts you will find one building products company after another posting the same type of beauty shots. Cindy Gallup, a well-known advertising and marketing agency change influencer, calls this redundancy “collaborative competition” based on a Harvard Business Review article. We simply call this chronic boredom. Can you name the brands or the products that posted these photos on Instagram? Our idea of chronic boredom stems from the idea and practice that doing the same thing over and over again is somehow compelling to the audiences you are trying to engage. It is not. It is actually boring. When all competitors, direct and indirect, subscribe to the same practice, it is chronically boring. 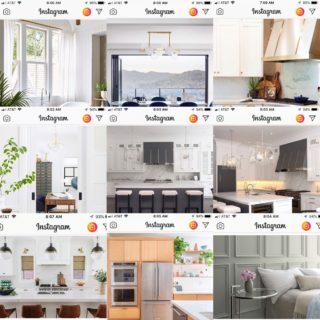 For example, here are nine posts by home and building products manufacturers captured within seven minutes of one another (see time stamps). Can you name these manufacturers or the products they are promoting? The practice of companies sharing their versions of the same setting has been labeled collaborative competition. 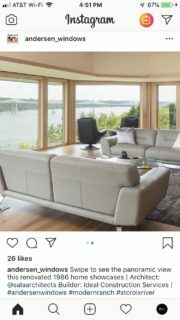 The thought is if beauty shots of kitchens, bathrooms, dining rooms and whole house exteriors works for one company it will work for all companies. Envision competitors lining up like dominoes. Just like with dominoes, a single disruption (i.e., a competitor) can take them all down. When lining up the dominoes, there are people that enjoy simply lining them all up together and those people that love to knock them down (often to the displeasure of the former group). Which one of these people are you? Frank Carroll, president of Broan, recently shared they are not satisfied with being the market share leader. Their goal is to be the market leader. A market leader is typically defined through innovative thinking and action. We recommend you begin by defining your content and social media strategies to reflect your brand and the passion points of your customers and prospects. Step out of the line others are so contently joining. This sounds easy enough but it is not, otherwise everyone would do it. Experience – knowledge and the wisdom on how to use it – and the fearlessness it provides are critical factors in success. Fortunately, this experience can be acquired through a relationship or organically. Our experience shows acquiring it organically can be very expensive. As you consider your next steps, here are a couple of simply changes you can make to begin to eliminate chronic boredom. Highlight your products. 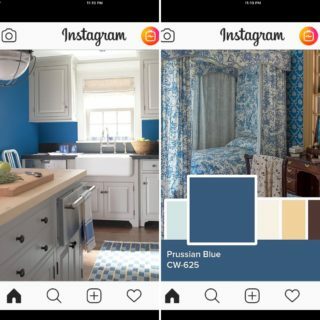 In this example, Benjamin Moore uses two images in a carousel format to identify their featured products and how it looks in a beauty shot. There is no second guessing as to whether or not this is a cabinet, sink, faucet, countertop, lighting or window brand post. Label your images. 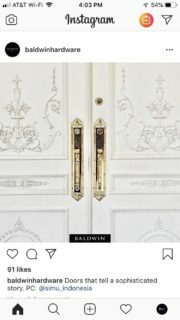 Baldwin brands each image with their logo. Note: former client. Identify your products by name, model and color within the copy of the post. Add a link to find the dealer nearest them. In this example, Andersen Windows chooses to promote their trade partners. Did you guess which brands are being promoted in these photos? The upper left post is Phantom Screens. The lower left post is Boral. The post on the right is Ply Gem. Please don’t make your customers guess. Become a market leader and eliminate chronic boredom from your communications. Send us a note with your guesses of the brands that posted each of the nine images in the collage shown in this article. You never know, you may win something.